Veneer hardwood flooring is eco-friendly thin hardwood flooring! Veneer hardwood floor – an eco- and budget friendly choice! Veneer hardwood flooring is a type of thin hardwood flooring, which means it consists of a thin layer of wood (about 0,6 mm in thickness), called veneer, on top of thicker, resistant HDF plates. Many people don’t know the difference between laminate end veneer, since both are engineered flooring. The main difference between laminate and Veneer hardwood flooring is that the top layer of laminate is a printed imitation of wood, whereas with veneer, the top layer is real wood, giving a natural and lasting appearance, with all of the benefits that you know and love about laminate. Veneer is not just more aesthetically pleasing than laminate, but also more durable. What about hardwood – is it really worth the price? Hardwood floors are made from solid wood planks and are, in comparison to veneer, more expensive, harder to install and more difficult to upkeep. Veneer hardwood floors are made from layered planks, where only the top layer is wooden (that’s why it is called thin hardwood flooring), which is much more ecological than hardwood flooring. The special two-layer composition makes thin veneer hardwood flooring more impact-resistant than for example parquet style laminate flooring and the sound of walking much more resembles that of walking on hardwood. The price of veneer hardwood floors is much smaller than that of hardwood floors (because it’s a thin hardwood flooring - less wood is used in their production) and the price of installation is the same as with laminate. You can even do the installation yourself, it you are handy. 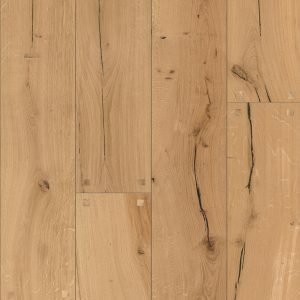 Ff you’re looking for that unique wooden look, but don’t want to spend a fortune on flooring, the decision between hardwood vs. veneer floors is simple. If you don’t have a thick wallet, choose thin hardwood flooring. 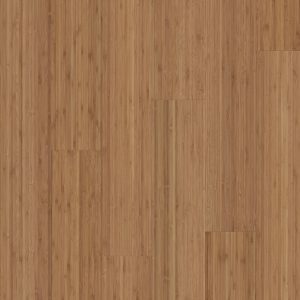 Where to buy veneer hardwood floor? If you’re wondering where you can buy hardwood floor or veneer floors, Alpod d.o.o. is one of the top hardwood flooring dealers in Europe. At the Alpod hardwood floor store you can choose between many different types of flooring, from hardwood, laminate and veneer, to vinyl and pvc flooring. The various types of flooring available at the hardwood floor store is one of the reasons why Alpod is considered to be one of the best hardwood flooring dealers. Our expert advice is the other. Visit www.floor-experts.com to find out more.